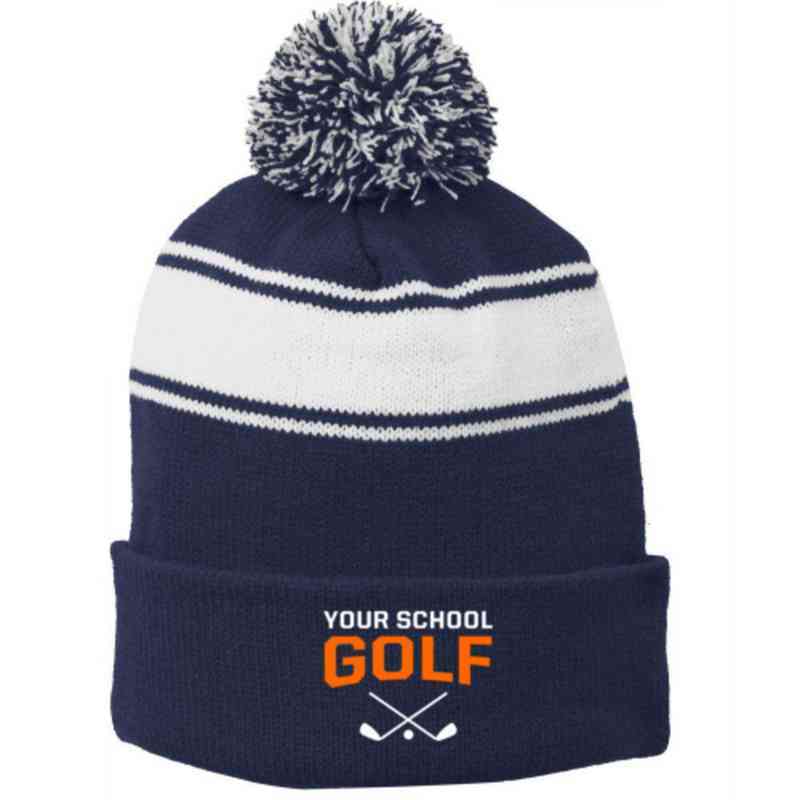 Look and feel good while practicing your swing with this Golf Embroidered Pom Beanie. You can stay warm while supporting your favorite team with this classic beanie. The beanie features three stripes and a two-tone pom at the top. Manufacturer direct from a trusted supplier.